Disinfection and decontamination is a GDC recommended subject for continuing professional development. 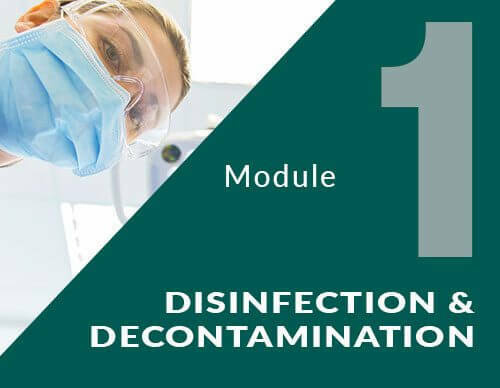 Completion of this module and passing the associated quiz will satisfy GDC requirements for 1.5 hours of CPD in disinfection and decontamination. The content does not have to be completed all at once, you will be returned to where you left off when your restart the e-learning module again. Explain cross infection and outline the main transmission routes for micro-organisms in the dental setting. Outline our duty of care regarding cross-infection. Describe the impact of emerging pathogens in infection control. Understand the compliance requirements for immunisation. Topic 2: Why infection control is important?